 Fire spinner, musician, and great friend of WaterFire Providence Spogga Hash was in the studio. Bronwyn and Barnaby we also joined by WaterFire Providence’s Director of Operations Paul “PK” Kochanek as he took listeners behind the scenes of all of the planning that goes into each WaterFire event. Join hosts Bronwyn Dannenfelser and Barnaby Evans for a lively discussion on special events coming up for our August lightings on the 9th and 23rd. 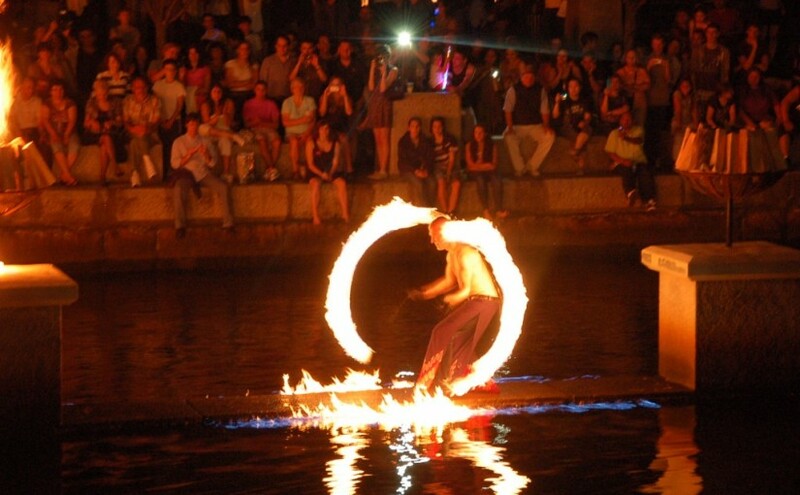 Spogga has been a long-time crowd favorite at WaterFire lightings and although he has relocated to New Orleans he frequently returns to Providence to perform. He was in town to per a show at The Spot on Friday August 1st, 2014 and spin fire at both August, 2014 WaterFire Providence Lightings. Behind the scenes with Paul “PK” Kochanek, Director of Events and Operations. An excerpt from the WaterFire: Art & Soul of a City documentary. Episode 7 – Broadcast July 30th, 2014 | Featured image by Sam Stolzberg.